The writer Kenneth Millar, more widely known by his pen-name Ross Macdonald, was masterful when it came to ending novels. His endings are perfect—both inevitable and unexpected—and every time I finish one of his books, I am cast back to the beginning. It’s a pleasure to reread a Macdonald book. The second trip through is like walking a forest path in the daylight after having first passed through in the dark. You take the same route, but everything is different. When Macdonald thought about his novels, he visualized them in their entirety: each piece was part of a larger structure. His criticism of Raymond Chandler was that Chandler thought of plots as a vehicle for creating individual scenes, rather than creating individual scenes so that they worked seamlessly together in service of something larger. In 2013, I finished writing The Poison Artist, and sent it to my agent. The book was meant to be an ambitious break from my previous novels—it’s a story about a toxicologist with a dark past, who becomes obsessed with a beautiful woman while helping to investigate a series of homicides. I didn’t know what my agent would think of this book, but I only had to wait a day until my phone rang. She was excited—The characters! The mood! The language!—yet the entire time she was speaking, I could tell she was leading up to one terrible word: but. Finally, she said it: but the ending, Jonathan. It has to change. Okay, I said. I can rewrite the ending. No problem. I rewrote the ending once and sent it back, and we had the same call again, only this time it was slightly more dire. I couldn’t just change the ending; I had to find a way to change the ending but make it an organic outgrowth of everything that had come before it. Which meant, basically, I had to rewrite the whole book, and then fix the ending. I had a trip coming up, and I ordered a copy of On Crime Writing to bring with me. For ten days, my wife and I walked up Mount Kilimanjaro, and I thought about Macdonald’s words. What’s a tragic vibration? How do you make something run backwards through the structure of a story? There’s a lot to be said for thin air and long walks. When I got home from Kilimanjaro, I sat down and did the rewrite. It didn’t take long, and this time, my agent loved it. The problem with my first draft was that I had a nice collection of scenes. 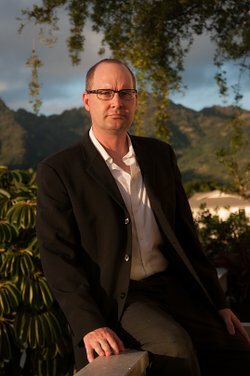 I had done my research by watching autopsies at the Honolulu Medical Examiner’s Office, and I had interviewed scientists and doctors, and I had scoped out all the locations in an epic, nightlong bar crawl across San Francisco. So I had everything I needed to make the scenes work; I just had to find a way to fit them together to tell a larger story. Of course, Chandler and Macdonald aren’t my only heroes, and weren’t the only voices in my head as I wrote (and rewrote) this book. I’ve often heard it said lately that we live in a golden age of good television. That may or may not be true, but we certainly live in a golden age of great popular fiction. The bar goes up and up. As long as there are Dennis Lehanes, Denise Minas and Michael Connellys, and Val McDermids out there; as long as Stephen King and Lee Child are putting out a book a year, and John le Carre is in good health, then we’re in good hands. 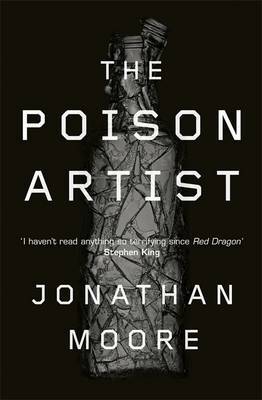 The Poison Artist was my dark thank-you note to all of them, for all the nights they’ve kept me awake.